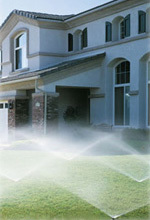 We serve the entire Portland Oregon metro area and we specialize in the service and maintenance of sprinkler systems. We have full time irrigation technicians ready to perform your sprinkler system winterization or spring activation (turn-on). These services ensure that your system is fully protected from damage that can occur during winter months. A description of our services are listed below. Please call today to schedule your sprinkler system winterization, shut down, or spring activation or start up. Check each sprinkler head to be sure it’s operating correctly, fully retracting, and spraying the desired direction. Leave a check-list on your door detailing the steps we took and notes regarding your systems needs, if any. We also offer yearly backflow testing and work with a certified backflow testing technician to handle all of our backflow testing. This is a service that is mandated by the county or city that you live in and is required to be done yearly. It is generally done in the spring time, around the same time that spring activation is done. We will send our certified backflow tester to your house, test the system, and send the report to your city or county once you have passed inspection. If, for any reason, your backflow device has failed, we will notify you of those results as well and offer you a bid to repair or replace the unit. For this service, we charge just $55.00. This service can be done any time of the year but you can save a little money by bundling this service with the above two options. Contact our office for more details. Q. Can I save money by bundling the above services and having your company do all three services? A. Yes, you can! Please contact our office for exact details. Q. From the time I pay, how soon will you be out to perform the service? A. We schedule our services by neighborhood and also by date payment was received. So the sooner you call to schedule this service, the we will be able to get your service done. We try to get all of our winterizations done by Dec. 1st. But if you wait until November 25th to call us for this service, you’re sort of pressing your luck to get it done by that time. Still, we make every effort to get all of our winterizations done within a few weeks of your call and usually not later than Dec. 1st. Similarly with Spring Activation – the sooner you get on our schedule, the sooner we’ll be able to get you in. But we also schedule these by neighborhood. So don’t expect us to come out in the first day or two. It may be a week or two before we get enough in your area to create a route for that area of town. Regardless, we do try to get all of our spring activations done by May 1st. Q. What if you notice something wrong with my system? A. 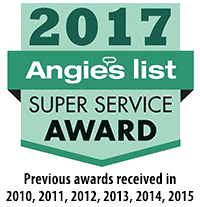 We will note that on your check-list if your service is in need of service, along with an accurate price quote to fix the issue. Then you can call and have us return to fix the issue, if that is your desire. Q. Does your winterization service guarantee that my system won’t have any breaks over the winter? A. If you’re system was installed by our company in the last 5 years, yes. This protection is part of the warranty you received when you purchased your system from us. For everyone else however, unfortunately there is no way for us to extend the same guarantee. First, we don’t do a zone-by-zone inspection prior to winterization. So we don’t always know what condition the system is in when we arrive to winterize it. There may be issues at that time, but we won’t know until the spring activation. Second, many issues that arise with sprinkler systems can be just due to poor installation or normal wear and tear. Third, despite our best efforts to drain your system in the winter, there could be a head that isn’t draining properly, a pipe that is being squeezed by a tree root, or any number of other issues inside the system that lead to a break during the winter. We can’t be held responsible for every possibility. We do guarantee you that we will do the best possible job to drain out as much water as we can from every part of your irrigation system. We do this with trained technicians and every year we do this for over 450 customers with a very high success rate. Q. Why don’t you use compressed air to blow-out irrigation systems? A. In states with colder climates (e.g. Colorado, Wyoming, etc.) it is typical to use compressed air to blow out the entire system during the winterization process. But it is not common practice in the Portland area. There are a small hand full of companies who offer this service. But it is usually over twice as expensive to do it this way and in our opinion, not necessary. In the Portland area, we don’t get the kind of deep prolonged freezes down into the earth that they get in colder states. When we do get an ice or snow storm in the winter, it’s usually just for a few days and the frost depth doesn’t get much below an inch or two. Your pipes, valves, and backflow device are all buried underground much deeper than that. So the main concern is to drain the system so that there is no water left in the heads and minimal water left in the pipes. The pipes don’t have to be totally empty of every drop of water. They just need to be drained well enough so that the remaining water has room to expand if freezing temperatures do hit that area. This is why we drain the system, leave your valves open, leave your ports open on your backflow device, and leave your drain valves open for the winter. This first drains the system but also leaves the system open for expansion of any water still left inside. This method of draining your system rather than blowing it out is just as effective, but for more than half the price of a blow-out. Q. Won’t you need access to my controller to turn off / start up my system? A. No, we don’t. We can access everything we need outside in your covered valve boxes. On your check-list, you’ll note one of the items will instruct you to go go your garage and either turn your controller to the OFF position (after winterization) or back to the AUTO or ON position (after start-up). You can do that part. We do all the rest. This way we can do the work without you having to take time off of work and meet us there. Q. What if you find something that needs to be repaired while you’re there? Can I just pay you to fix it at that time? A. If you happen to be home at the time of service, we will ask you if the repair is something you want us to do at that time. This way, you can save the cost of a separate service call. But if you are not home during the time of service (which is most often the case), we will leave a note regarding the repair needed and you will have to call us back to schedule a time to make that repair. Q. What about programming my controller? Is that something you offer with your spring activation? A. This isn’t something we generally offer as part of the start-up procedure. First, because most homeowners are not home when we come by to do the service. Second, because we haven’t allotted enough time for this. And third, because your programming doesn’t generally need to be changed from year to year. But if you happen to be home and it is something that doesn’t take us more than 5 minutes, we’ll typically go ahead and do this. Q. What is your guarantee on start-up? Do I need to look over the system when you are finished? A. 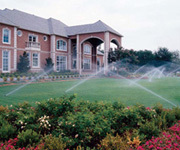 We do ask that you take a look over your sprinkler system within 30 days of our service. If we have missed something, we would like to know sooner rather than later. Also, keep in mind that if you find a valve or head that isn’t functioning properly in June, that it may have been working just fine when we did your spring activation in April. Irrigation components can break at any time. So again, please check your system after we are done and if you think we’ve missed something, we want to know about it sooner, rather than later. If necessary, we’ll send our technician out to fix whatever we missed. Q. Isn’t backflow testing part of what you do in the spring activation? A. No. Backflow testing is a totally separate service and needs to be done by a certified backflow tester. We do work with your backflow device during spring activation. That is, we pressurize it and make sure it’s opening and closing like it’s supposed to so we can use the irrigation system. But that’s different than the pressure testing that is needed to make sure the backflow device is functioning properly. Here’s a good analogy: you take your car to a mechanic to get it serviced or tuned up. But you take it to the DEQ to make sure it’s passing emissions requirements. 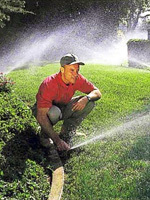 Consider our irrigation technicians the mechanic and our certified backflow tester is the DEQ. The certified backflow tester is just testing the system to make sure it’s preventing backflow like it’s supposed to. We’re just making sure the device is running. 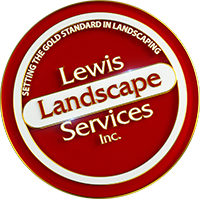 Lewis Landscape Services of Beaverton Oregon, specializes in Sprinkler System Maintenance, Repair, Winterization, and Spring Activation. We serve the Greater Portland Oregon area, and surrounding cities. See our Service Areas section for more details.